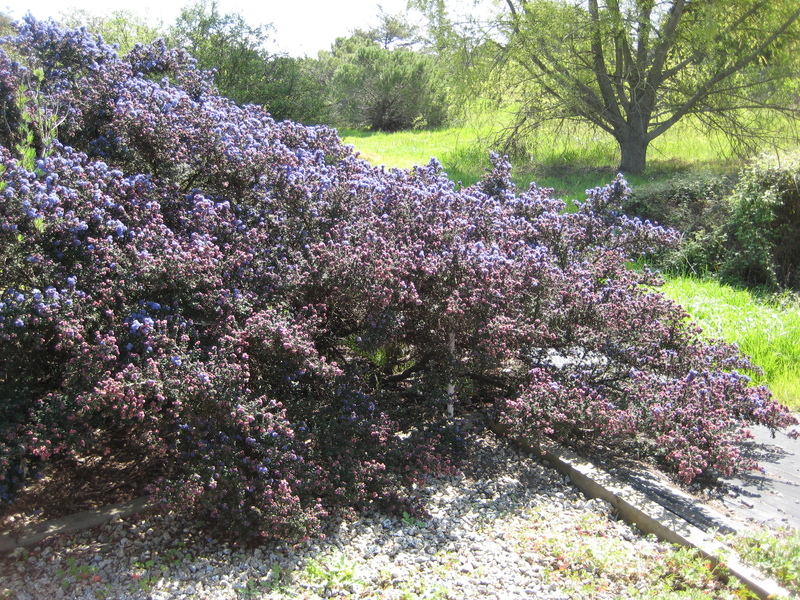 The common name California Lilac is nice but, in my mind, doesn’t adequately describe our lovely native plant with the botanical name Ceanothus. Yes, some of the varieties have lavender blossoms or buds but the genus specializes in shades of blue that would make a common garden lilac blue with envy. The Ceanothus color spectrum starts with whites that range from pure to creamy, then we move into the softest whispery blues. There are many mid-range sky blues, then we pick up speed into ever darker shades that culminate with Dark Star or the similar Julia Phelps, that at their best, make use of a color that is relatively rare in the flower world. These varieties exhibit almost lilac colored buds, that unfurl into dark, midnight blue and lighten up as they age like the lightening sky before the dawn. In my opinion, no photo can do justice to actually experiencing a Ceanothus in mid bloom. First of all, blues are difficult to capture accurately and I am certainly not a pro photographer. But most importantly, you don’t experience the honey-like fragrance, which causes me to involuntarily close my eyes as I inhale, which enhances the background buzzing, as I share the moment with a host of happy pollinators keeping busy amongst the blossoms. 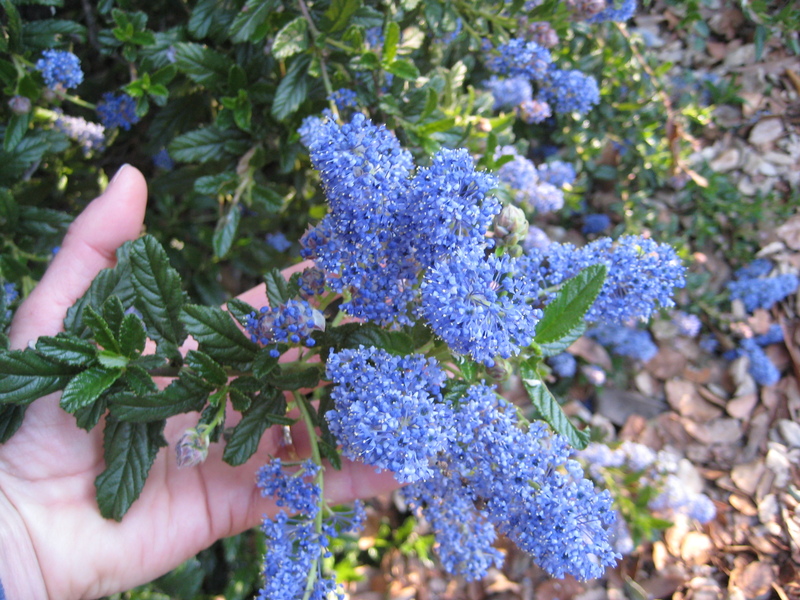 Ceanothus is the cornerstone of any native garden with its many forms, from tree to groundcover, and an enduring evergreen presence throughout the year. There are the mounding shrubs and low, ground-hugging forms with small, almost holly-like leaves, such as Ceanothus gloriosus, which I find to be the most deer resistant. Then there are the large, shiny leaves of the popular Ceanothus griseus aka Carmel Creeper, which are, in my experience, like deer candy, especially when first planted from a nursery raised container. 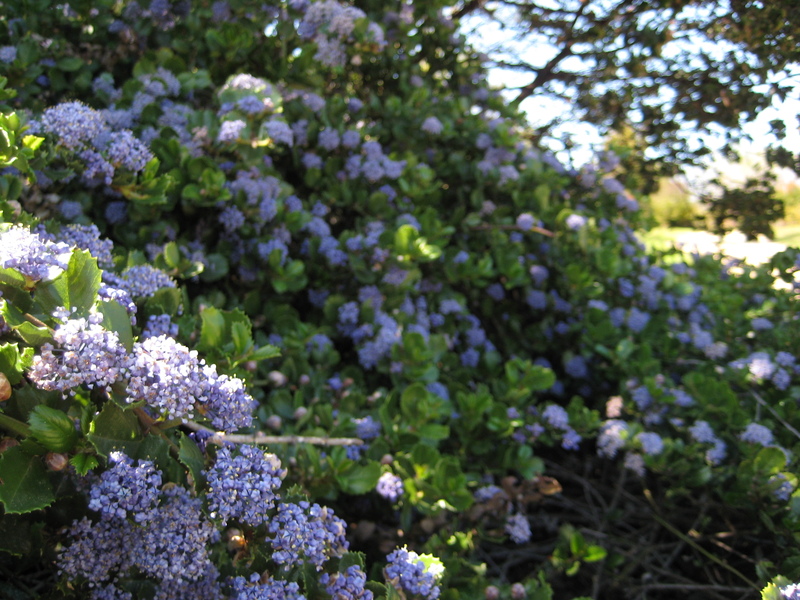 Ceanothus has a reputation for being fussy or short-lived but this is generally because of the lack of understanding of their strengths and weaknesses. In my opinion, the secret is tough love. Yes they will respond to plenty of water and even fertilizer in their early years….but this sets them up for a flashy but short life. Having evolved to withstand our rainless summers, they can succumb to various soil-borne diseases that come with watering a plant too much and in warm conditions. 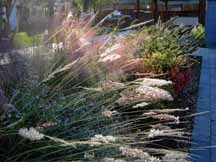 A common mistake is to give them “a good start” by making life too easy for the first couple of years, then deciding to take advantage of their drought tolerance by suddenly cutting off the “good life”, leaving a plant that has had too vigorous of top growth and an under-developed root system, used to the cushy life, to suddenly get through a tough summer. 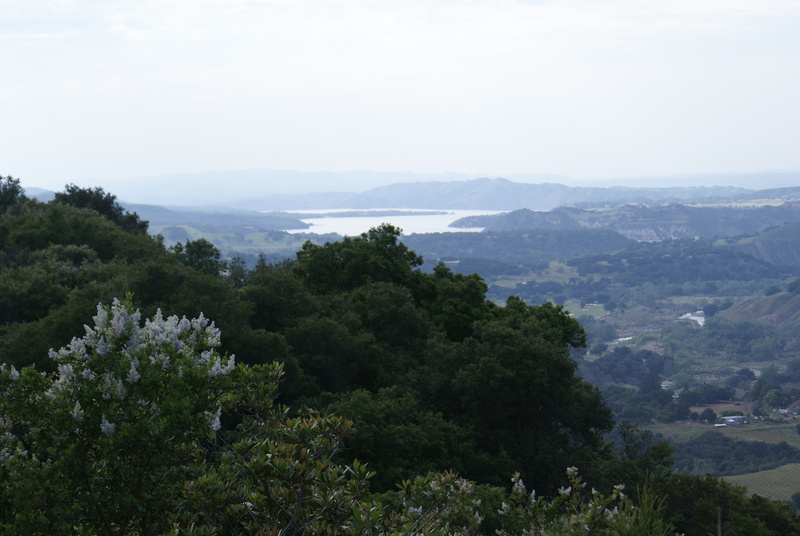 The better method is to give “just enough” water in the first two summers to survive, even though you might not see as much growth or flowering until the plant is established. A rule of thumb is to water once every couple of weeks in the first summer and once a month in the second summer and to try and time the watering to coincide with cooler conditions, even though this goes against our gardening instinct. Whether you decide to use some Ceanothus in your own garden or simply get out there and enjoy them in the wild, be sure and take some time each spring to appreciate this very special plant. As the winter skies brighten up overhead the landscape around us responds with it’s own burst of blues that makes the heart sing.